I’m going to do an academic’s year in pictures from now until next May. Not every day, but as many as I can do. Seems a better way to communicate about what goes into faculty life. So let’s start at the end of the academic year, with graduation. Swarthmore’s graduation ceremonies strike me as very earnest and suited to the institution. They’re fairly low-key, relatively intimate, and focused very much on our own community. We rarely invite speakers with no previous connection to the college. I generally enjoy going to commencement and have rarely missed it. I do not usually go to baccalaureate the day before, but I attend my department’s reception that day for our graduates. It was interesting to see the intensity of feeling in this discussion of faculty attendance at graduation ceremonies at Inside Higher Education. 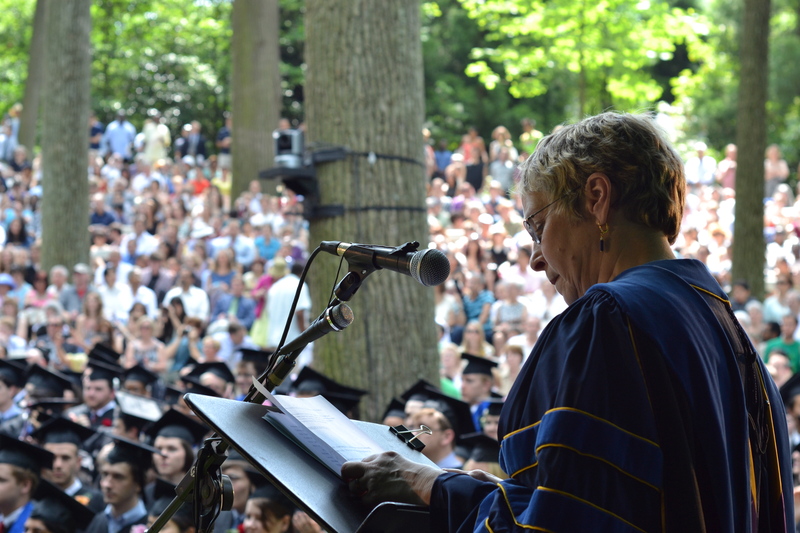 Many of Swarthmore’s faculty attend year after year, but that’s a reflection of the degree to which most of us feel a strong responsibility to and for the institution. Where most faculty do not attend, I think that is probably a sign that the ceremonies themselves may need some redesign and that the institutional culture has strayed towards a very impersonal, consumerist delivery of services. If a college or university (and its faculty) make more exalted claims about the culture and community of higher education, then that ought to extend into a sense of commitment to the rituals that sustain those claims. This entry was posted in Academia, Pictures from an Institution, Swarthmore. Bookmark the permalink. At Cornell, as the graduates walked across campus to the stadium for the ceremony, they did so through a gauntlet of faculty who applauded the whole way. At such a large school there are obviously a lot of faculty (though not so many that students don’t excitedly pick out their favorite profs on the way), and so this goes on a long time. This was something that I hadn’t heard about in advance (never found out if it was deliberately kept a secret or if I just hadn’t heard of it) and I found myself really moved by it. We just started the gauntlet practice about three years ago or so. I think it’s charming though I can tell you that by the end, my arms are about to fall off. 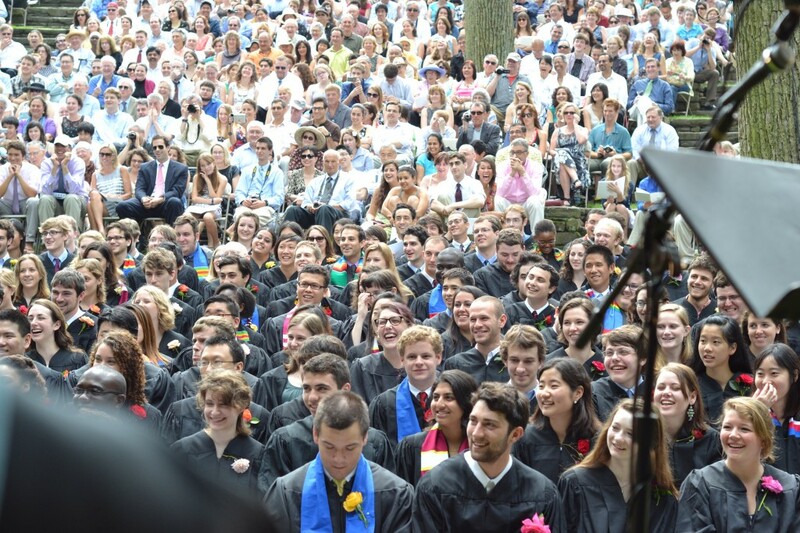 My graduation from Swarthmore–and I mean the actual 3 hours of the ceremony plus aftermath itself–definitely ranks as one of the top ten most significant moments of my life. I’ve been to a lot of graduation ceremonies since, but of all of them, Swarthmore’s best capture a sense of intimacy and mutual regard between students and faculty.